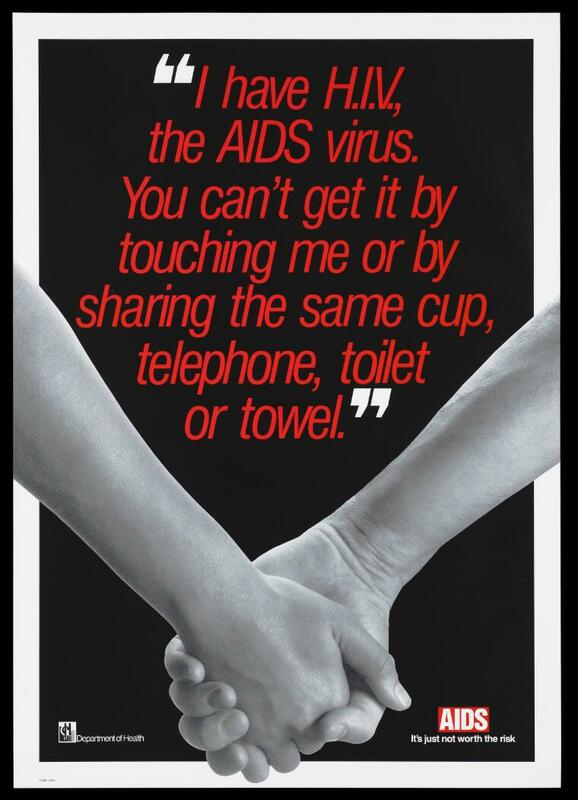 Joining hands representing support for those with HIV; advertisement by the Department of Health. Colour lithograph. "I have H.I.V., the AIDS virus. You can't get it by touching me or by sharing the same cup, telephone, toilet, or towel." AIDS It's just not worth the risk. Department of Health. Code 4245.